For many years, the eyebrow trend has been a massive topic, whether it's Cara Delevigne's eyebrows or eyebrows like Kylie Jenner. Eyebrows are on everyone's mind. I won't lie, I always like to look at other people's eyebrows and I do love getting my eyebrows done. Personally, I like a good arched full eyebrow but it's all dependent on everyone's preference. Filling in your eyebrows has to be, for me, the longest part of my makeup routine as I have to make sure that it is perfect! (I think this is what makes me late all the time). 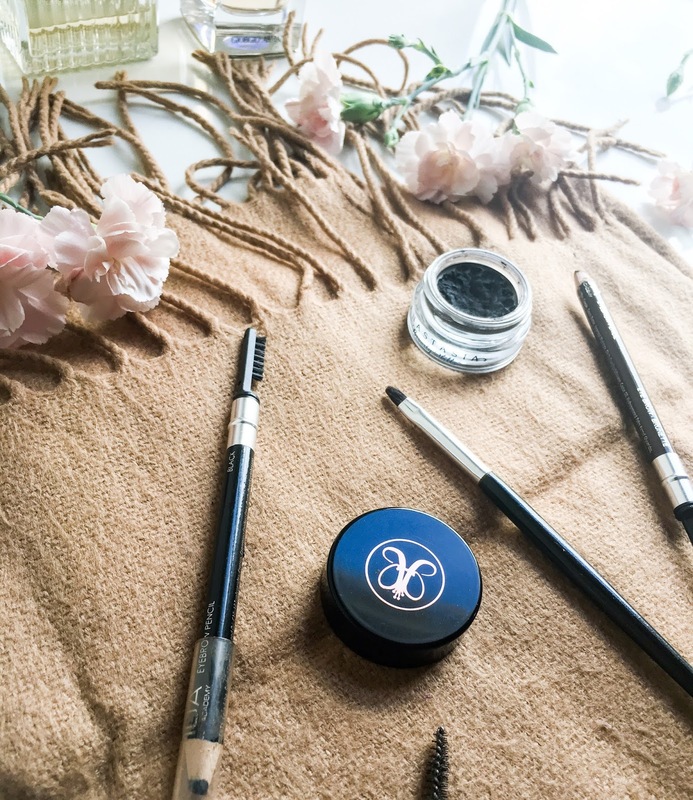 There are many different ways/products to use in order to fill in your eyebrows and for today's post, I thought I'd share the products I use to do so. In a previous post, many months ago I wrote a post on how I look after my eyebrows and ways to keep them looking tidy. I still stick by everything I said in that post but nowadays, I find myself being extremely lazy by getting my eyebrows done once every other 3 months. Luckily enough, my eyebrow lady is great so they keep their shape for a long time. First of all, I like to use the Anastasia Beverly Hills Dipbrow Promade in Dark Ebony to roughly outline the ending of my eyebrows and the front hairs of my eyebrows. I use an eyebrow brush to do so with a light hand by applying the promade with light strokes. I love to use a promade as I feel that it lasts longer than an eyebrow pencil whilst producing a natural eyebrow look. After I have outlined my eyebrows I like to use my brunette eyebrow pencil from MUA to fill in the middle a bit to get it a softer look and go over it with my Anatasia Beverly Hills Dipbrow Promade. Using a spoolie brush, I like to brush through my eyebrows lightly, I always have to do my eyebrows before I do anything else just so that whilst I am doing my makeup it doesn't rub off or anything. I like to make sure that my eyebrows look sharp and clean, I always to do this step but only if I don't have my eyebrows done. It is a perfect trick to clean up your eyebrows with some concealer. I always find myself clinging to the LA Pro Girl Concealer. It's such amazing concealer - very high coverage and light wearing. It lasts all day and is the perfect way to conceal. 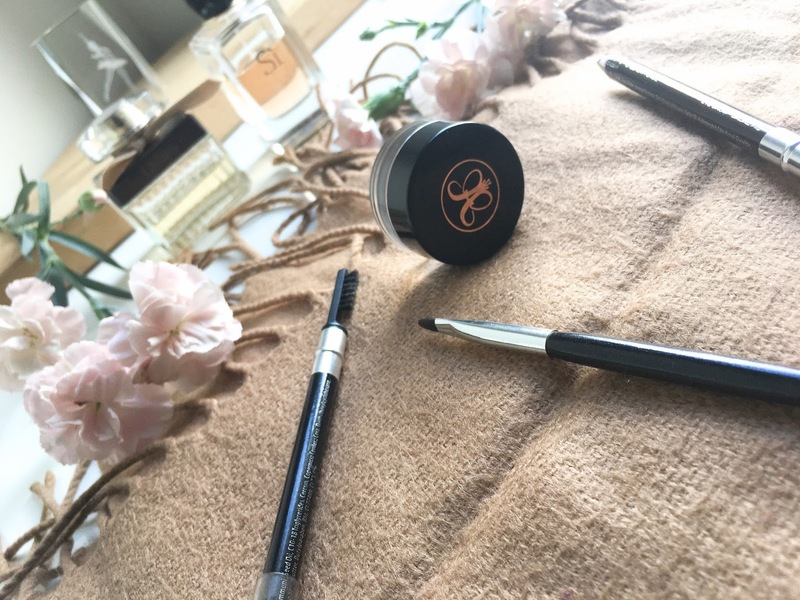 To make sure that my eyebrow hair stay put, I use the Sleek Brow Perfector in Clear which keeps my hairs at bay throughout the day and ensures that nothing moves even on the hottest of days. What products do you use to fill in your eyebrows?